The camel market on the western outskirts of Omdurman is a fascinating place to visit. There is a feeling that the modern capital of Khartoum has been left far behind as soon as you reach Souq Libya. 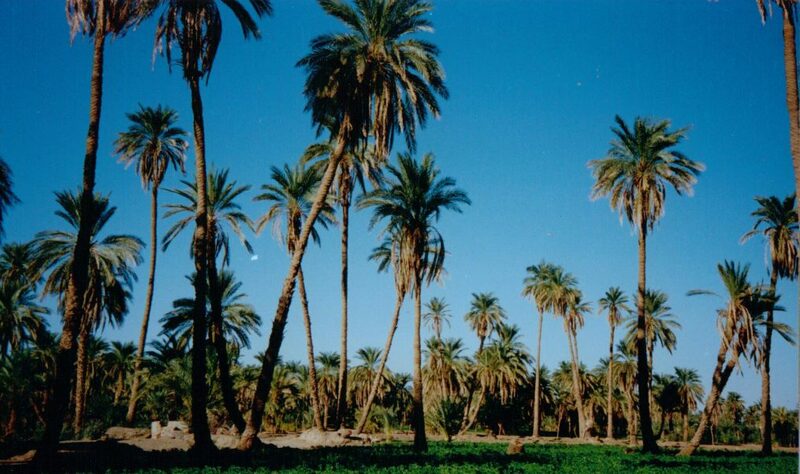 A few kilometres further out you have truly entered the west of Sudan, a world a million miles away from the grand villas and air-conditioned shopping malls in Khartoum. The market is said to be busiest on Wednesday and Saturday mornings. But getting to the camel market at Souq al-MuweliH can take quite some time when using public transport. The best option seems to be to take a bus to Souq Libya and to then take a minibus to Souq an-Naaga from there. Change here for another minibus that drops you at the zariba next to the market. 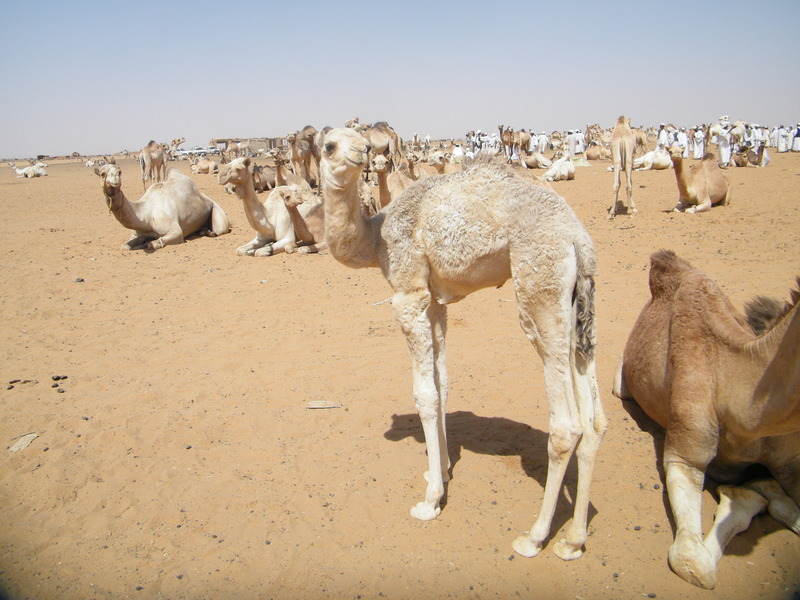 Someone travelling around the Sudan might do better to wait and visit any one of several of the more accessible camel markets around Sudan such at El-Obeid and Hamrat Esh Sheikh in Northern Kordofan or Ed Debba or Ed Damer in northern Sudan. The highlight for me was seeing the cute camel calves with their incredibly soft woollen coats! I’m sure that the year they spend with their mother in the herd before being weaned is the best time of their lives. After that its a life of work or death on a butcher’s slab in Cairo. Around the market are shelters for drinking tea and nearby is a large enclosure for cattle. Barbecued mutton and camel meat can be eaten at Souq an-Naaga if the cute calves haven’t turned you into a vegetarian. This entry was posted in Khartoum and tagged camel market, Camels, Omdurman, Sudan. Bookmark the permalink.